For high-schooler Yoko Nakajima, life has been fairly ordinary–that is until Keiki, a young man with golden hair, tells Yoko they must return to their kingdom. 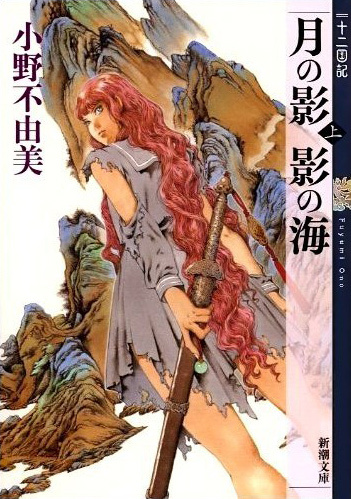 Once confronted by this mysterious being and whisked away to an unearthly realm, Yoko is left with only a magical sword; a gem; and a million questions about her destiny, the world she’s trapped in, and the world she desperately wants to return to. And the "Best world building/design" award on "The Asian fantasy novel awards" goes to... The Twelve Kingdoms!!!! Yeah its that good! Plus there is so much more left unsaid... So much to build on top! Plus each book is not directly a followup on the previous one! Most of the time they are different plots on the same universe! I had kept an eye on Juuni kokuki anime for a long time and now that I binge watched it, I got hooked to know what happens next and since anime was obviously cut mid series (dunno why) I eyeballed first 4 volumes that anime story focused upon and now volume 5 onwards I can start enjoying rest of the juuni kokuki world. This novel is amaizing! It shows you the strugles between oneself, between yourself and others, and yourself and norms. This shows how a girl that always obeys what her parents and teachers transforms into a person who will stand firm with her beliefs. An Epic novel worth a lot more than 5/5 rating can give you. Fs has not finished the novel anthalogies because FS finds that without the next book it just wouldn't satisfy the hunger to know what will happen next! So do give it a read and know that there's a new book being written by Author-sama that will continue the story!